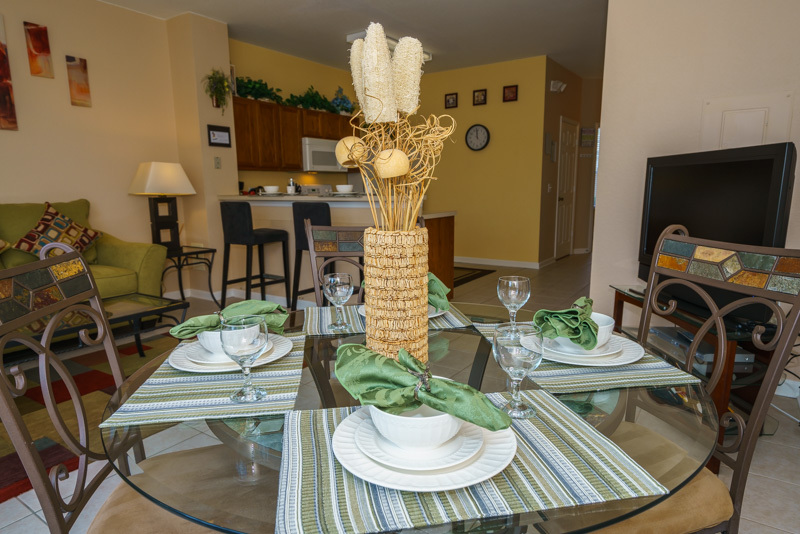 The lounge and kitchen are fully equiped with spacious eating area including flat screen TV, DVD player and MP3/ipod docking station. Large fully equipped kitchen area for preparing food over-looking the lounge and pool area. 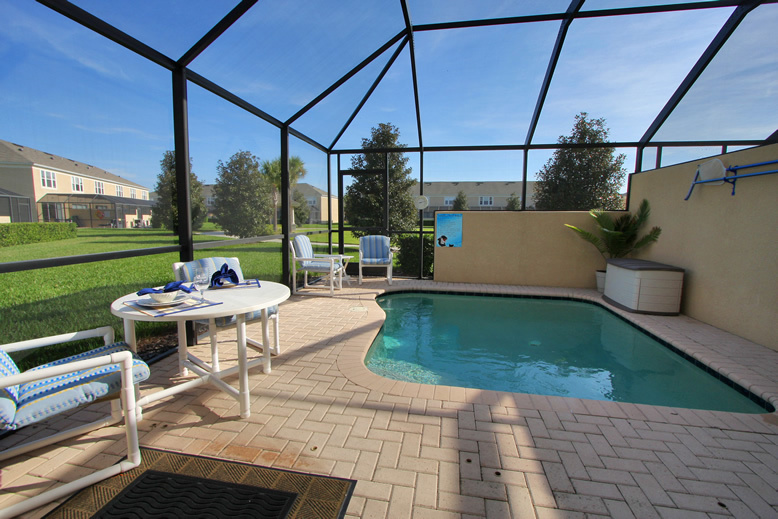 Opening onto your own private splash pool. 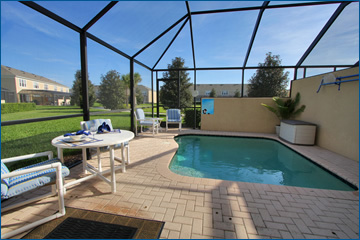 Pool area protected for your childs safety with a child fence and security locks on the patio door. 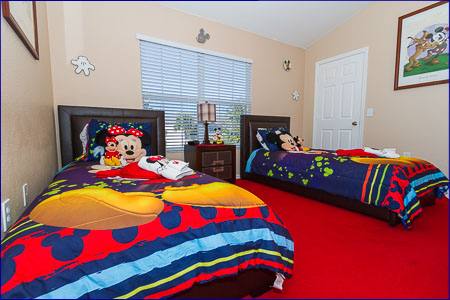 The Mickey Mouse Themed room has twin beds and a Mickey Mouse bathroom. 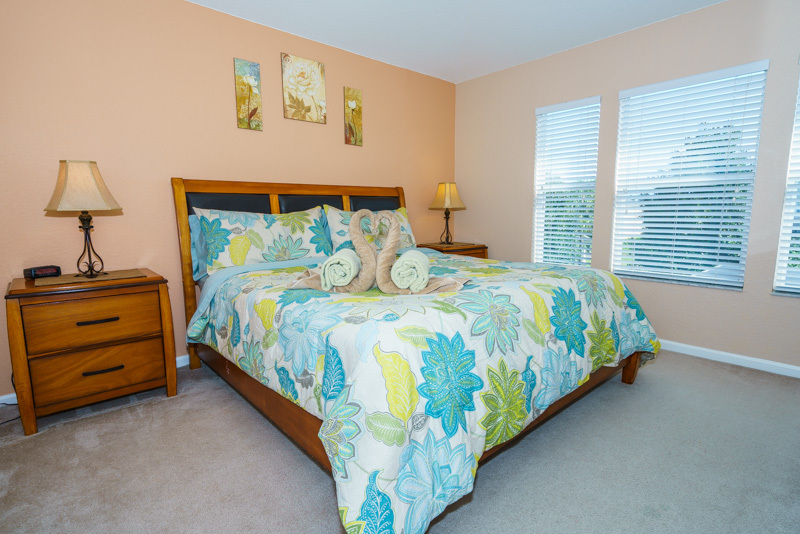 All bedrooms have ensuite bathrooms with hairdryers, ceiling fans and TV's. 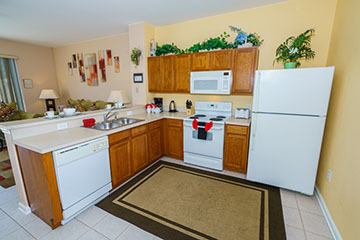 Our home is also air conditioned throughout. 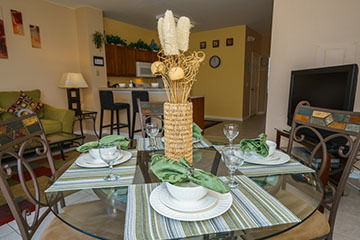 All equipment is provided by Orlando Town House. Equipment is used at your own risk.